Kashmir is becoming a hot destination for golfers. 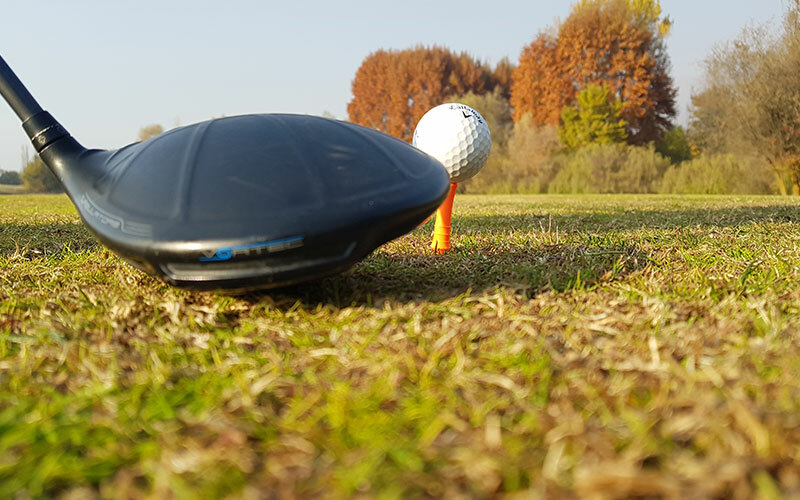 The valley offers verdant golf courses at Srinagar and Gulmarg, where one can play golf all through the summer, stretching from April to November . Bordered by trees of Chinar and Pine, one may play for longer hours here than in the plains because of the lower temperatures and invigorating climate. We have 5 golf courses in Kashmir where you can play hassle free. The golf course at Gulmarg (dating back to 1920 British Raj) is one of the prettiest ones. Located as high as 3730 metres above sea level, it is the highest green golf course anywhere in the world. Hardly any stretch of the course is flat, which is full of the land slopes and inclines along the complete area of the course, which has a par of 72. The place has rarefied atmosphere, which carries the ball further, and the turf, since it lies buried six to eight feet under snow for five months of the year, is soft. The greens have a combination of moss and a high variety of grass and natural slopes, which are fast to play on. 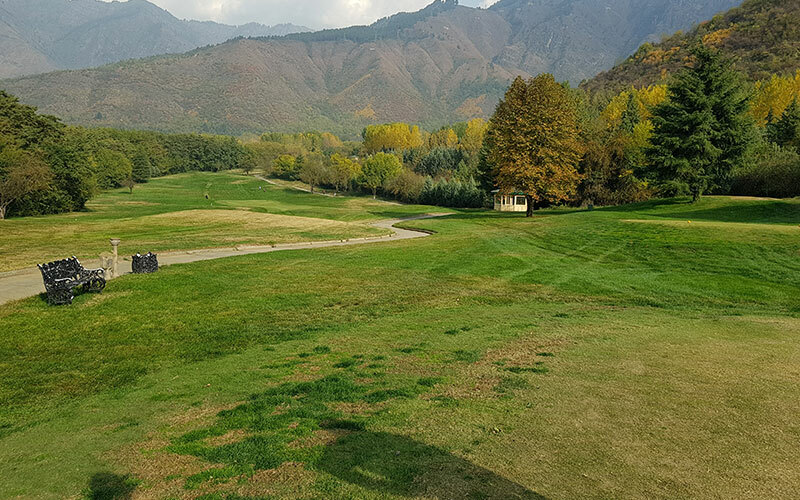 There is also a small golf course in Pahalgam about 2250 meters above sea level, also having a beautiful lush green terrene with pine and fur trees all over. 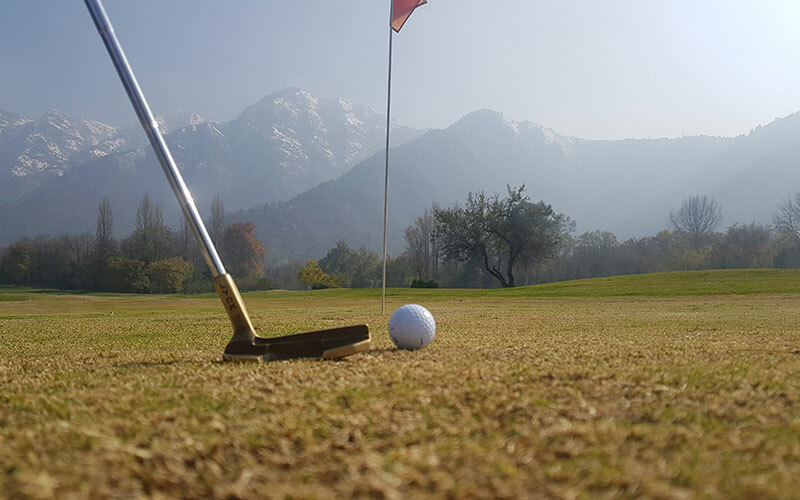 In Srinagar we have a small mini golf course (below Grand Palace Hotel) known as police golf course which has a magnificent view of the dal lake. The Kashmir Golf Club (dating back to 1915 British Raj) centrally located at Srinagar is spread over 52 sprawling acres of lush land. With well laid out bunkers and hazards, interspersed between Chinars and other trees, is a professional 18-hole course and has been the venue of many tournaments. The course has common fairways and a par of 70. As a golfer I am very proud to be a life member of Royal Springs Golf Course. About 8 years old golf course stretching across an expense of 300 acres near the famous Cheshma Shahi at Srinagar, The Royal Springs Golf Course was designed and laid out by the World-renowned Golf architect, Robert Trent Jones Jr. II, under the dynamic president ship of our beloved leader and a great golfer Dr. Farooq Abdullah. Mr. Jones has been known to design about 500 courses all over the World, including the cities of Bangkok and China. Overlooking the famous Dal Lake, it is set in a natural environment created against the dramatic backdrop of Zabarwan hills. The 18 holes c ourse with 18 different fairways at a par of 72 offer a challenge to all levels of players. The fairways are turfed with cool weather grass of different Shades. The trees bordering it are Rye, Kentucky blue and tall frescoes that lend a touch of color throughout the golfing season.